Ford Smith, Perfect Storm, acrylics & mixed media, 48" x 24"
Sparkling like a jewel in the heart of historic Roswell on Canton Street, the new Ford Smith Gallery emerges onto the local art scene featuring the radiantly serene landscape paintings from Atlanta’s own, world-class artist, Ford Smith. This exclusive, artist-owned gallery is operated by veteran art team, Ford Smith and his wife Cristi. Ford is one of the nation’s most celebrated artists with worldwide gallery representation, while Cristi runs the the art business and writes for major art industry publications. This is their fourth Ford Smith Gallery, having had two other locations in Roswell and another in Santa Fe, New Mexico. “Ford lives and paints just a few miles from our new gallery, and after traveling for 3 years doing shows in other galleries, we missed having this broader stage to present his work,” Cristi says. Having a focused environment where they can showcase the breadth and diversity of his talent makes a great deal of sense in their hometown. The gallery recently introduced The Monochrome Series from Ford, which are a pensive suite of original paintings he created mostly in black, white, and silver--quite divergent from the classic vibrant and colorful hues for which he’s known. Cristi compares the Ford Smith Gallery experience to visiting a vineyard versus buying wine at a store. “First, you love the wine. But at a vineyard, you also meet the growers, the people who are passionate about the wine. Then you try the different wines they make and you leave with a deeper appreciation for their talent and abilities as winemakers.” She believes that when you make those connections, you have a collector for life. 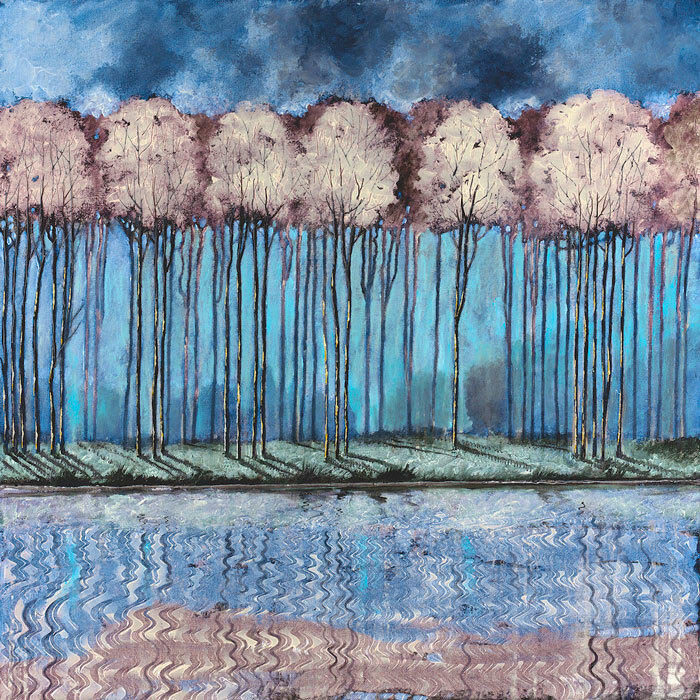 Ford Smith, Hypnotic Approach, original painting in acrylics, 36" x 36"
Ford Smith, Mutual Understanding, acrylics, 44" x 44"